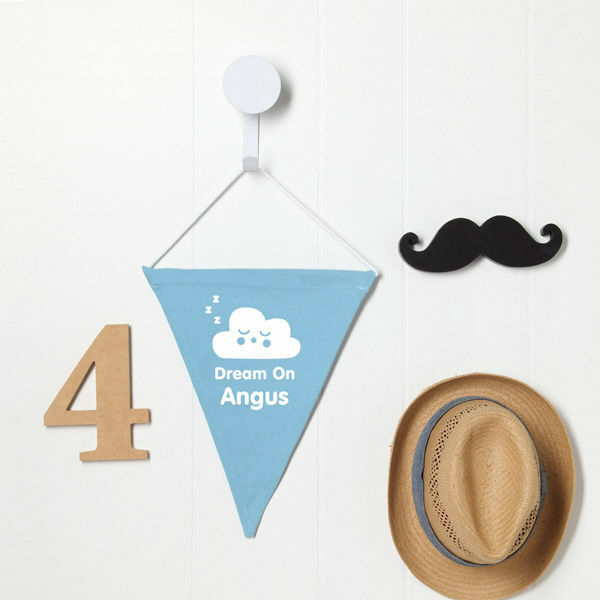 Hang above your child's bed, on their bedroom door or in their playroom! Measuring approximately 30cm across the top and 36.5cm either side. 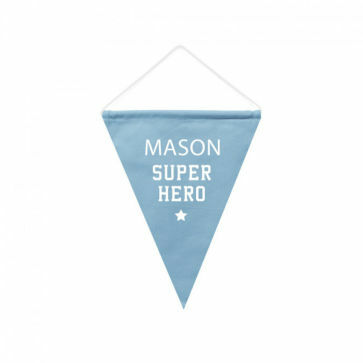 This 100% cotton canvas wall flag is the perfect personalised adornment to any child’s bedroom, nursery or playroom!